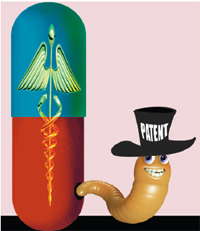 Among the goods that come within the ambit of intellectual property rights (IPRs), none is more contentious than pharmaceuticals, specially those medicines that are categorised as life-saving. The high pricing of such drugs, ostensibly on account of the huge cost of discovery and research and development, is the bone of contention. Most of these drugs, which are viewed a public good and not just a commodity, are out of the reach of millions in developing countries and, increasingly, of even the middle classes in rich nations because new generation treatment is priced exorbitantly. With the price of drugs accounting for an ever-increasing share of healthcare expenditure, the debate on access has been getting more contentious and more complex. At the fag end of February, two crucial developments in global forums highlighted the increasing concerns about access to medicines across regions, countries and across societies. One was a high-level expert meeting in Geneva pushed by the Global Fund for AIDS, Tuberculosis and Malaria and referred to as the Global Fund, and a host of convenors from World Health Organization, GAVI, the Vaccine Alliance to World Bank, Unicef and UNDP. The outcome is the Equitable Access Initiative (EAI), which aims to build a new policy framework to better understand “the health needs and constraints countries experience as they move along the development continuum”. Underpinning this effort is the realisation that relying solely on gross national income (GNI) to determine investment priorities in global health is not working any more. What is happening is that as countries move up the categories, from low-income to middle-income and so forth, large swathes of the population in these countries are being denied healthcare. These categories are based on World Bank definitions. The newly set up EAI notes that “countries classified as middle-income are often in need of substantial resources to respond to disease burden, as a steadily larger percentage of those affected by the diseases live in middle-income countries.” A look at the GAVI website shows that in 2015, some 24 countries will lose its support as their national income rises beyond the eligibility threshold. Middle-income countries are also affected by the new tiered pricing and licensing policies followed by pharma companies to market their super expensive life-saving drugs. For instance, Gilead’s blockbuster Hepatitis C drug, sofosbuvir, is licensed to be sold at a lower price in a large number of developing countries but the terms exclude middle-income China which has the highest number of Hepatitis C cases. The developed world and the pharma industry prefer the GNI per capita yardstick because it is simpler to use and widely accepted despite concerns with World Bank formulations. However, the alternative metrics that are being proposed, such as the available health infrastructure, infection rates and health outcomes could prove more problematic. But as EAI gets down to its task of ensuring more just access to drugs, the least developed countries (LDCs) are also pushing for related guarantees. Under WTO rules, LDCs are exempt from the need to enforce IPRs on pharma products till 2016, a special waiver that took into account their dire health indices and poor infrastructure. In addition, they were also granted a general waiver in 2013 that freed them from IPR obligations on all products. In the last days of February, LDCs sought an indefinite waiver at a WTO meeting, stating that “patent protection contributes to high costs, placing many critical treatments outside the reach of LDCs”. Since LDCs are “disproportionately exposed to the health risks associated with poverty”, they said the waiver should be indefinite –for as long as a member remains an LDC. Both developments underline the huge concern over access to drugs.